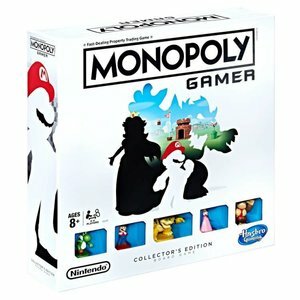 Its the Monopoly game with a Nintendo twist as it joins forces with beloved Nintendo video game characters. 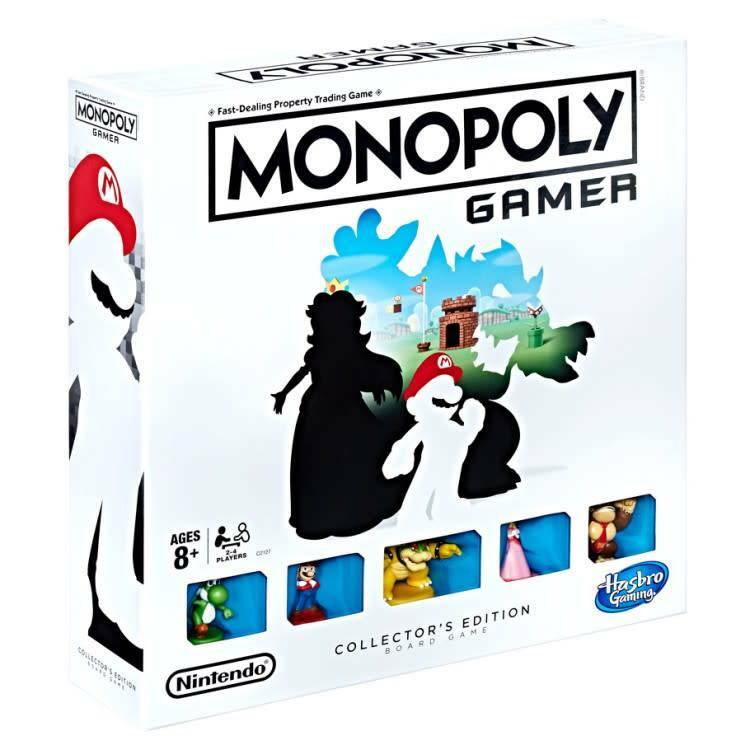 Instead of standard Monopoly tokens, the game features Super Mario characters, each with their own special powers within gameplay. Play as Mario, Princess Peach, Yoshi, or Donkey Kong. Finish the game by defeating Bowser at the end! Its not just about money in this game; players earn points by buying Properties, collecting Coins, and beating Bosses. The player with the highest score wins the game.